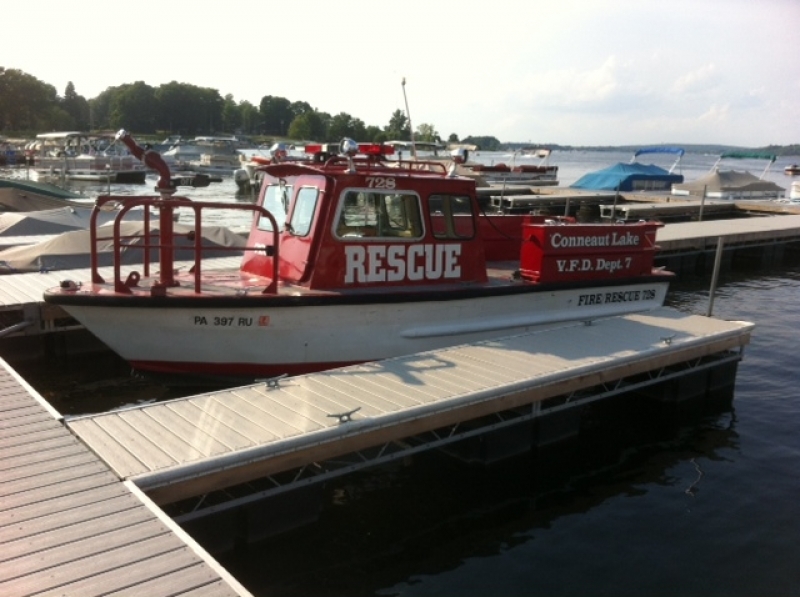 728 was obtained in June 2012 from Dearborn County Water Rescue located in Lawrenceburg Indiana. When new, it was used by the Cincinnati Ohio Fire Department and was known as Boat 18. It is powered by two Mercury Model 470 4 cylinder I/O engines with a third 470 engine used to power the 1000 GPM pump located mid-ship. Water can be flowed through two side 2 1/2 discharges or deck gun.